Both the Scar II and Hero II are available today, and include Intel's Coffee Lake chips for extra pop. 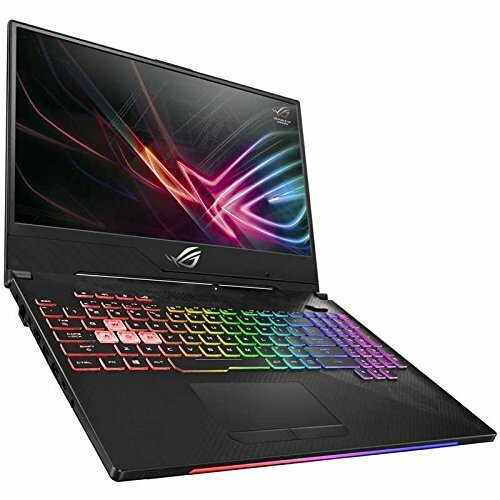 ROG announces the Strix SCAR II, an Intel Coffee Lake-based notebook optimized for first-person shooters. Asus and its Republic of Gamers brand have launched a pair of notebooks that are “optimized” for FPS and MOBA games: the ROG Strix Scar II and Hero II, respectively. They’re not quite the same PC; since MOBA games have lower performance requirements than first-person shooters, the Hero II’s graphics options only go up to an Nvidia GeForce GTX 1060. The Scar II includes a GTX 1070 option. The ROG Strix Scar II keyboard, highlighting the WASD keys. Both laptops feature Intel “Coffee Lake,” the latest Intel Core chip, among the available processor options. (Asus named the six-core Core i7-8750H as a specific option.) And because these are gaming PCs, the display is key. Asus believes that one of the selling points for the Scar II and Hero II will be the 144Hz refresh rate and 3ms response time of their IPS panels. Other specs include up to 32GB of memory, plus a 512 GB M.2 NVMe SSD and a 1TB FireCuda solid-state hybrid drive. 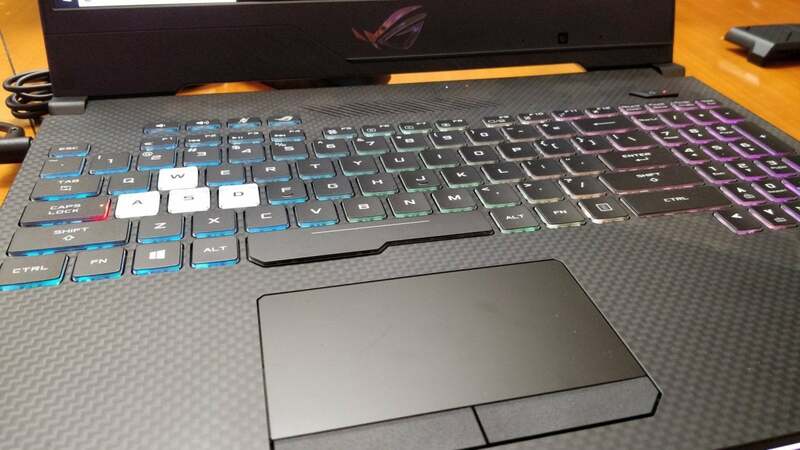 The keyboard accommodates 1.8mm of key travel, but Asus added what it calls “Overstroke” technology. Even though your fingers will depress the key through its entire 1.8mm stroke for comfort’s sake, the keypress will be registered earlier, giving gamers a theoretical advantage. 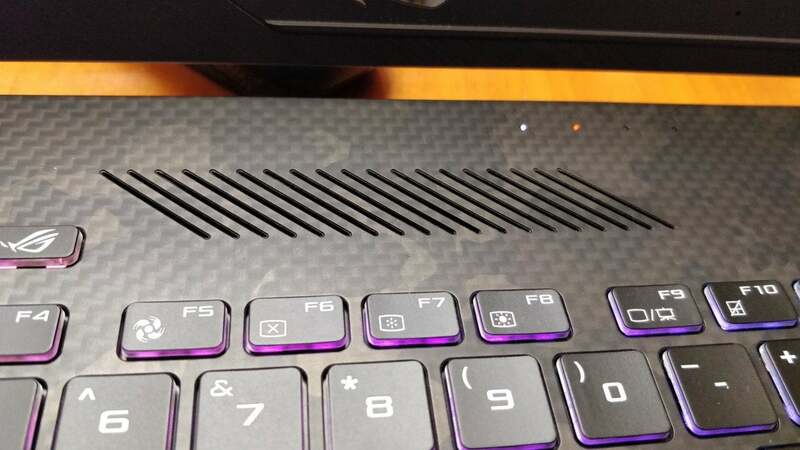 There’s RGB illumination as well, including on a new lightbar just below the edge of the keyboard. Since this is a gaming PC, Asus took pains to optimize the cooling. Users can choose either “overboost mode” for more powerful cooling or silent mode to eliminate fan noise. 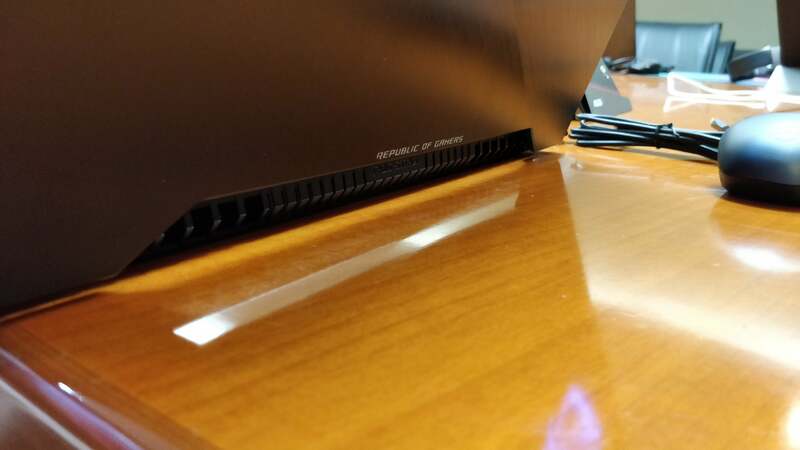 Asus also said it added heat spreaders to the graphics memory, as well as heatpipes to the GPU and voltage regulator chips. The company even crammed additional fins into the radiator, increasing the surface areas and heat dissipation. Both laptops are available immediately. The ROG Strix Hero II is priced at $1,699 on Amazon, while the Scar II costs $1,999 on Amazon.